Parish Retreat at Honey Creek will be held May 25 - 27, 2018. Please pray for those traveling this weekend to Honey Creek. VBS Registration is up and ready! Please visit VBS Registration to register your child or to volunteer. We need volunteers and have MANY opportunities! Please email Millie or call/text if you'd like to volunteer!! Be on the lookout for more information and donation requests in the coming weeks! Scholarship Donations Received - Thank You! It's now only 29 days until our team boards the flight from Atlanta to Santo Domingo to start our 2018 mission trip. Bit by bit, the details of the trip are falling into place. Yesterday we ordered our team t-shirts, which are bright green and have the names of all of the missioners printed on the back. If you would like to see this year's design with all of the names, click here. 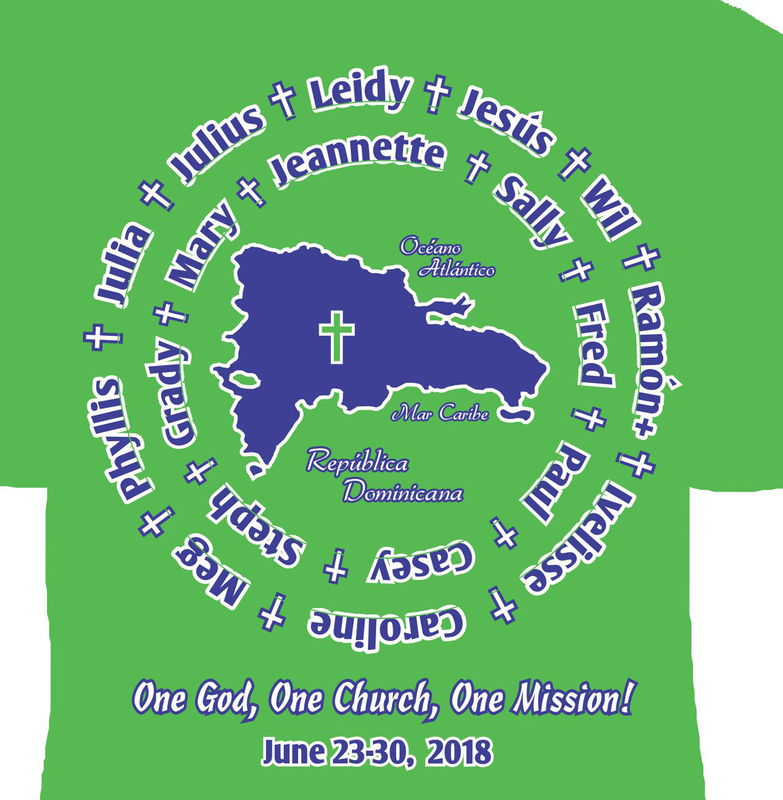 The t-shirts are green to reinforce the theme of this year's Vacation Bible School classes that we will be conducting for 40 children in the village of El Pedregal, which is right across the street from the Episcopal camp and conference center where we will be staying. That VBS theme as designated by the Diocese of the Dominican Republic is "Protecting the Environment," and an English translation of the VBS booklet we will be using is here. If you would like to see the original Spanish version, click here. Last week we were pleased to receive $900 in donations for the scholarship fund for children enrolled in the Dominican Episcopal K-8 school where we work. If you wouldl like to contribute to this fund, please make your tax-deductible check payable to Christ Episcopal Church with "DR Scholarship" in the memo line by June 30. We will send all donated funds to that school during the first week of July for use in the 2018-2019 school year.